Let's concentrate on one petal. 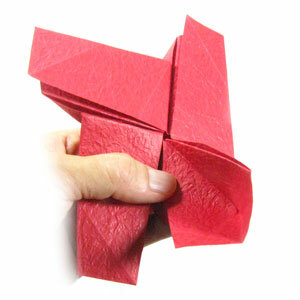 Prepare to apply a valley-fold on the bottom-right petal. 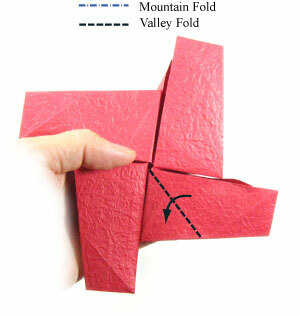 Apply the valley-fold of the step #53. Prepare to grab the edge of this petal.